Delcan Technologies implemented an AVL Mobile Data Collection System for snow plows for the State of South Dakota Department of Transportation to interface 100 winter management vehicles with the FHWA Maintenance Decision Support System. This project included the design and implementation of NTCIP standard interfaces for snow plows, and trucks and roadside weather stations, along with the wireless communications to retrieve real time weather and position data. 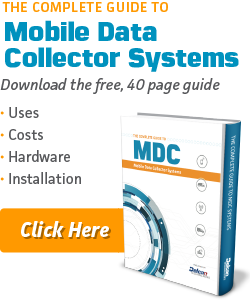 DTI has continued to support this project since 2008, and is starting to move South Dakota DOT from the original MDC-002 to the new MDC-004 hardware platform for data collection. Information gathered from the spreader controller, GPS receiver, plow blade sensors, air and road temperature sensors, and other sensing equipment. Weather information provided by Iteris includes regional weather radar, truck centered radar, hourly forecast and recommended road treatments specific to plow route. Touch screen interface allows operator input of driving conditions and displays recommended lane treatment and application rates. All monitored information is made available using NTCIP and can easily be incorporated into a user’s existing NTCIP central system. Data is also made available to an external web browser for easy access by South Dakota DOT and other authorized government agencies. DOT is able to monitor snow plow location, direction of travel, lane treatments, and the progress of each plow. Monitor and provide reporting and integration for SDDOT’s weather stations. Provide controller for custom South Dakota DOT weather stations. 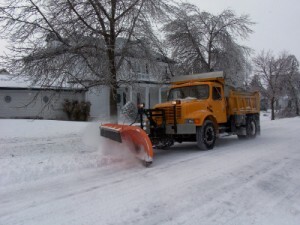 The Mobile Data Collectors for the snow plow units reduced the impact of snow and ice removal on the environment by using the MDSS recommendations for the efficient use of materials. The system also decreased the amount of snow and ice removal materials needed while also ensuring the roads were properly treated. A study showed that after installing the system, the DOT reduced their operating cost in materials spread from $300 per mile to $60 per mile.